FAO, CIHEAM and the EBRD convened high-level policymakers, key players from private sector companies, co-operatives and producer organizations, governments, banks, academics and journalists to raise awareness and increase agricultural investment in the Mediterranean. Co-chaired by high-level representatives of the three Organizations, the Forum’s objective was to share good practices and elaborate policy messages in the area of sustainable agrifood value chain development. The Forum focused on the Mediterranean region, with a particular emphasis on Albania. The event fostered dialogue between public and private stakeholders while offering an exceptional opportunity to identify areas where investments could boost sustainable agricultural production and trade. Topics included backward linkages between agribusiness and farmers, enabling policy and regulatory frameworks, efficient use of resources, and – generally – responsible agricultural investment practices. 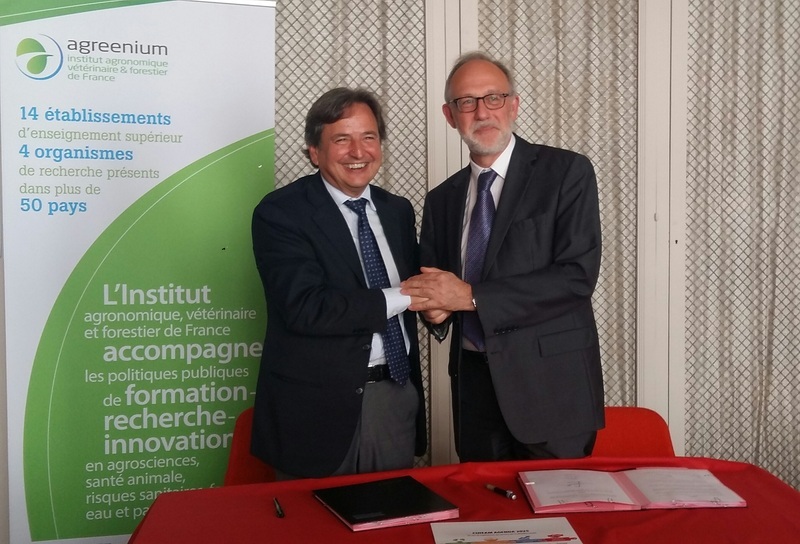 Mr. Claude Bernhard, Director of AGREENIUM (French Institute for Agricultural, Forestry, and Veterinary Sciences) and Mr. Cosimo Lacirignola, the Secretary General of the CIHEAM signed a Memorandum of Cooperation to strengthen their joint activities in the Mediterranean region. The main objectives of this partnership aim at addressing food security issues, boosting sustainable agriculture and agroecology, at contributing to the preservation of natural resources and at reinforcing rural inclusion systems. Memorandum of cooperation to reinforce to provide a long time framework for cooperation on agricultural, food security and rural development issues. 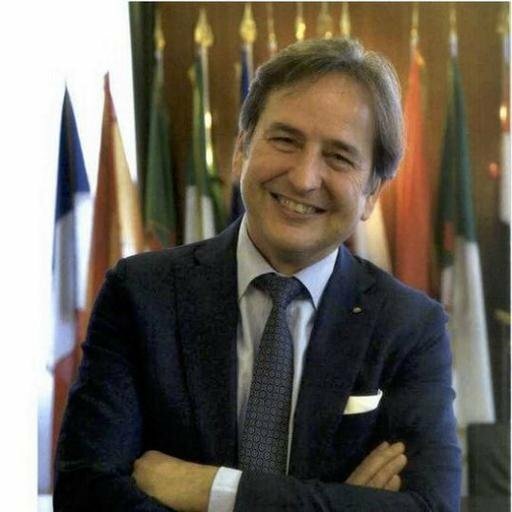 The 136th CIHEAM Governing Board, which took place in Antalya on the 30th and 31st of May, unanimously elected Mr. Cosimo Lacirignola, the candidate proposed by the Italian authorities, Secretary General of CIHEAM. Mr. Cosimo Lacirignola will enter into office on the 1st of January 2017, after an interim period. 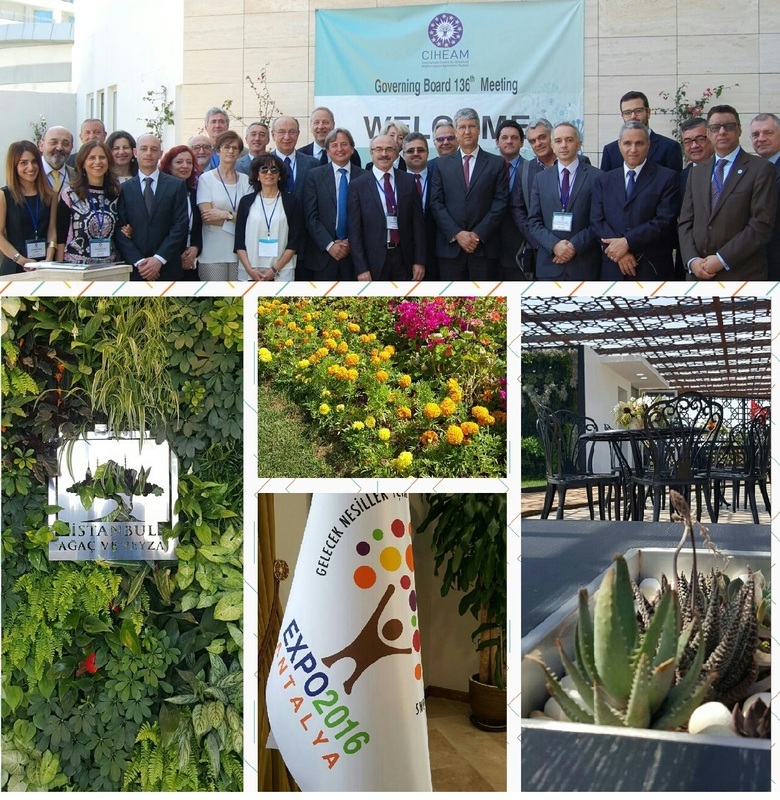 The 136th Meeting of CIHEAM Governing Board took place during the International EXPO 2016 in Antalya, on 30 and 31 May 2016. The Governing Board welcomed the dynamism observed during the last months leading to the development of several activities based on the new CIHEAM Strategic Agenda 2025 and stressed the importance of the next Meeting of the Ministers of Agriculture of the 13 Member States which will be held in Tirana (Albania) on 22 September 2016. During the meeting, M. Cosimo Lacirignola, was elected unanimously new Secretary General of the Organization for a period of 4 years. The Conference “Planting the seeds of sustainability: from production to consumption in the Near East and North Africa Region,” was held in Rome, during the 33rd session of FAO Regional Conference for the Near East and was co-hosted by FAO and the International Centre for Advanced Mediterranean Agronomic Studies (CIHEAM). This event brought together senior officers from the member countries in the region, as well as representatives from observer countries, U.N. agencies, civil society and the private sector to discuss how to more effectively integrate production and consumption to better support countries’ efforts to achieve greater food security. 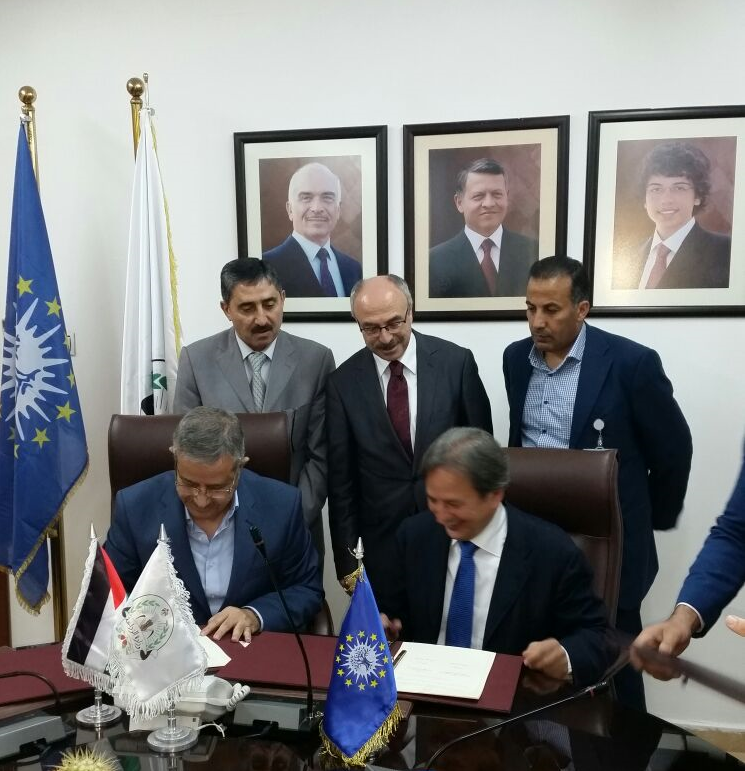 Mr. Akef Zu’bi, the Minister of Agriculture of the Hashemite Kingdom of Jordan and Mr. Cosimo Lacirignola, the Secretary General of the CIHEAM signed a Memorandum of Understanding (MoU) to provide a long time framework for cooperation on agricultural, food security and rural development issues. Mr. Sid Ahmed FERROUKHI, Minister of Agriculture of Algeria and Mr. Masum Burak, President of the CIHEAM signed a Memorandum of Understanding (MoU) to strengthen their cooperation in agriculture and fishing major issues, including food safety and nutrition, sustainable and inclusive development and youth training. 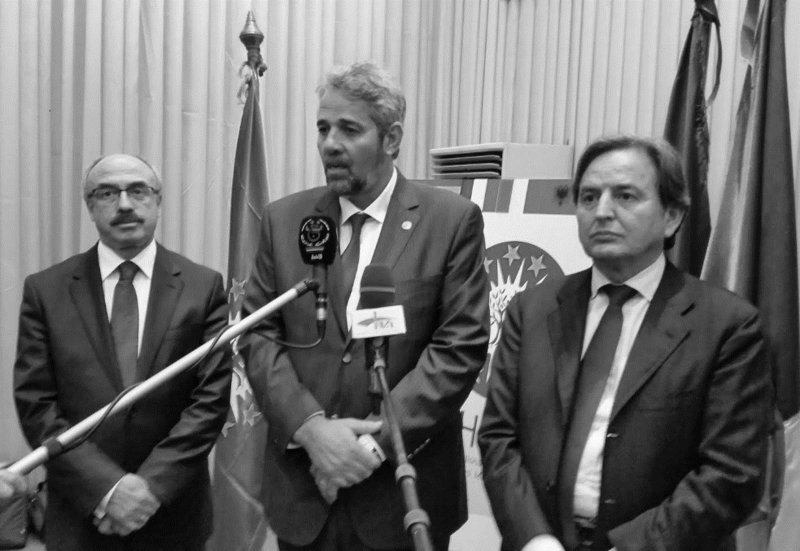 This agreement was signed in the context of the 30th anniversary of the accession of Algeria to the CIHEAM. Algeria is a Member State since 1986. 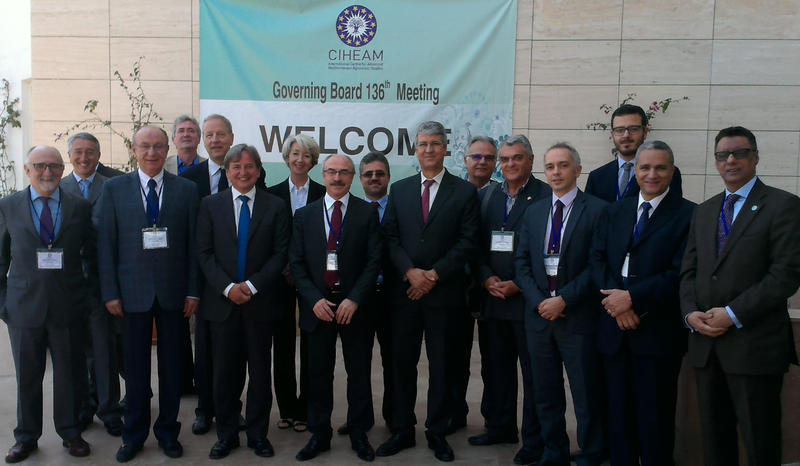 At its 133rd meeting in Cairo on 26th March 2015, the Governing Board of CIHEAM, formed by delegates of its 13 member countries, has elected Pr. Masum Burak (Turkey) as the new President of the Board. He will begin his four-year term on 1 April 2015, succeeding Pr. Adel El-Beltagy (Egypt). Pr. 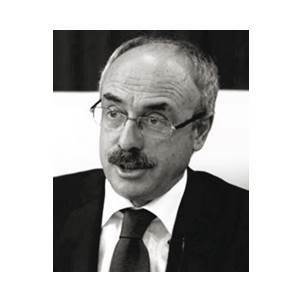 Masum Burak is the General Director of Agricultural Research and Policies at the Turkish Ministry of Food, Agriculture and Livestock. There is a problem in the code parameters. No data can be displayed!